There’s likely been a time when you’ve had a question concerning a place you were thinking about going to. For example, maybe you’re curious about outside seating at a local eatery or want to know about parking at a particular business. Well, Google Maps has a new feature this week, allowing you to ask these important questions with knowledgable users fielding them. The way it works is pretty simple. 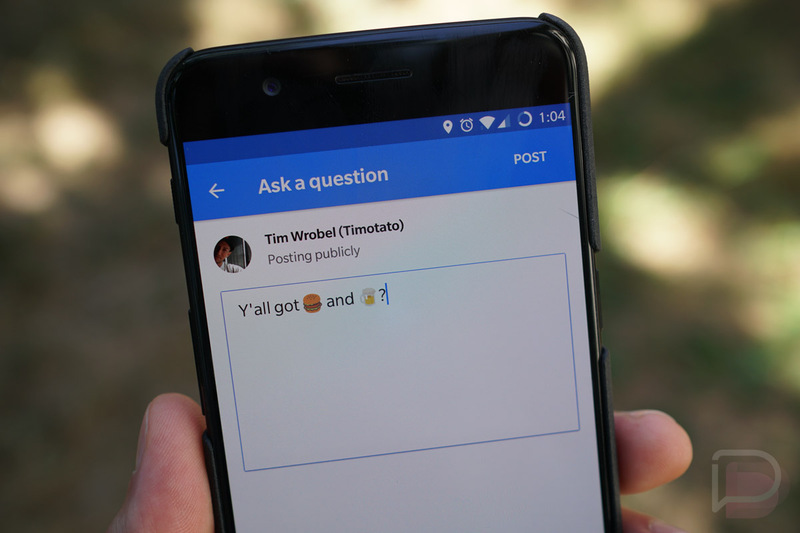 Simply find the place you have a question about inside of Google Maps, scroll down a bit until you see the new Q&A section, then ask your question. This question is then routed to the business owner or someone (a Local Guide) who can answer your questions. From the business owner’s perspective, they can setup a FAQ on their Google Maps listing to field questions that are asked frequently. If you think you’re a knowledgeable local, you can be proactive about answering other people’s questions. To do so, find a local business’s listing, head to the Q&A section, then get to answering. All answers are tied to your account, and if the answer is thumbed up, it’ll remain near the top so everyone can know how helpful you are. Good job, you. This feature is rolling out right now worldwide, and from what I can tell, it’s already there on many business listings.